KEY LESSON: Pick your underwriters based on their research analysts and equity salespeople, not their relationship banker. I first had the idea for this series after breakfast several years ago. I was meeting with a friend, who is a venture investor. We spent most of the time talking about the joys of raising kids in San Francisco. But at some point, he mentioned that one of his portfolio companies was getting ready to go public. The Board had met with a half dozen bankers as part of their ‘beauty pageant’. A one hour breakfast, became a three hour brunch, as I unloaded all my thoughts on the subject. Given that this series is set to approach 20,000 words, it should be clear that I have a lot of thoughts on the subject. And these thoughts are based on years of experience with some not-so-pretty IPOs. At the end of that brunch, he finally admitted that they had already picked their lead underwriter, and had picked it solely based of the name brand of that bank. Needless to say, I do not think that is the best strategy. To go public in the US typically requires hiring a syndicate of investment banks to underwrite the IPO. (There are other options, but I do not recommend them.) The underwriters have a huge impact on the fate of an IPO, and parts of them play a role in the company long after the IPO. So choosing bankers is very important for management teams. 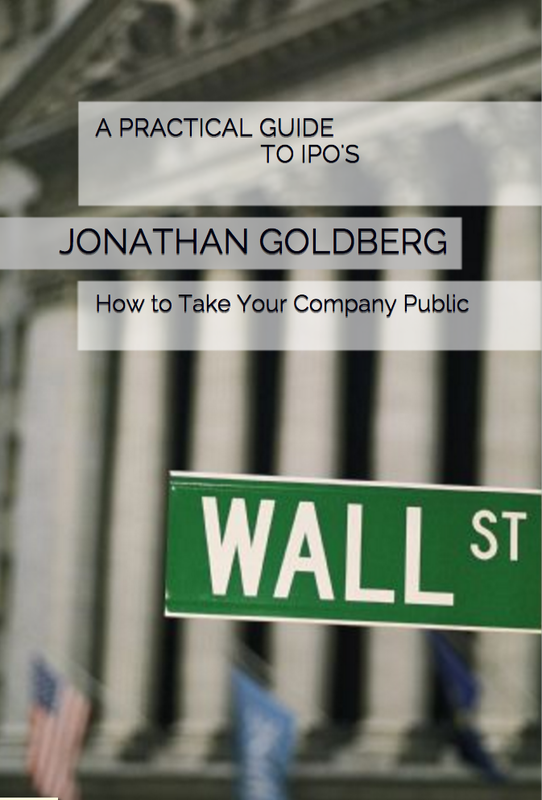 As with all things around going public, there are two very different sides to consider – the IPO process itself and then life as a public company. These two sides correspond to two very separate sides of an investment bank. As with much of the IPO, once the big day happens, many of the banking participants move on to their next project. Yet typically, those are the people on which companies spend most of their focus. The pattern here is pretty commonplace. Bankers come in to pitch their services. Boards usually organize ‘beauty pageants’ or ‘bake-offs’, bringing in a half dozen banks to present on one day. The banks send two types of bankers – the relationship bankers who know the company and have been calling on them for years; and the execution bankers who specialize in executing IPOs. The relationship banker will demonstrate loyalty and familiarity with the company, ‘establishing trust’ is how a hostage negotiator would describe it. Then the execution banker talks about how many IPOs they have done, their distribution capacity – establishing their seriousness. Both of these are important, and companies should base 50% of their decision on what they think about these two banking teams. The trouble starts with the other 50% of the decision. Banking pitches all focus on one element that should be ignored, and ignore one that should be the focus. The part that should be ignored is the estimated IPO valuation included in every pitch (these are often communicated verbally and not put on paper). There is a strong temptation to see this estimate as a ‘bid’, and to pick bankers based on this number. Resist that temptation. The actual valuation is almost certainly going to be very different by the time the IPO actually happens. Moreover, the distinction between a bank that says a company’s value is $1 billion and one that says it is worth $1.1 billion is meaningless. The banks are not going to determine the company’s value. The ‘Market’ will determine that. This estimate does not shed any light on the merits of one bank versus another. What matters far more to the process are the research analysts and sales team that each bank has. For obscure regulatory reasons, banks are prohibited from saying much (if anything) about their analysts in IPO pitch decks. This is a crucial piece for companies to consider, and it is glossed over in these key presentations. Before choosing IPO bankers, companies must meet with the analyst who would cover them as well as a representative from the banks’ sales team. The analyst will shape the way in which a company is presented to investors, and the sales team will provide a megaphone to make sure that every investor hears that story. Company management really wants to know the quality of these people. Understand the company’s industry and demonstrate a knowledge of the constituents of that industry. Have familiarity with the company, ideally having visited in the past. Maintains a good reputation with investors, and has credibility to talk about a new story. It just takes a few questions to fully gauge this, but companies have to make sure they get the chance to ask these questions directly to analysts and salespeople. Finally, companies typically need a number of underwriters. For IPOs under $1 billion (plus or minus), companies can usually get by with five or six underwriters. At the other end of the spectrum, Alibaba’s $22 billion IPO had over 20 underwriters. Companies need to choose one bank to be the lead underwriter, and then fill out the team based on the size of the deal and each bank’s strengths. Typically, this means two mega banks (aka bulge bracket firms) and then three of four smaller banks. Management teams should spend some time thinking about the smaller banks. The lead underwriter is a big role and tends to get most of the team and Board’s attention. But the small firms will end up playing an important role well after the IPO. And this is one of the key points. During the IPO roadshow, these underwriters deploy a small army of employees to promote the stock. Then, after the IPO most of the bankers will fade away, but all of the analysts will stick around and become part of managements’ routines. Management teams will probably never see the banks’ salespeople again, but those salespeople will absolutely remember how the company performed on the roadshow, and they will hold those memories for a long time. This is a lot of people to keep track of, so it is easy to lose sight of which ones matter. I am not denigrating the work of bankers, but management teams need to keep track of the long-term, and that can get lost in the midst of this whole process.